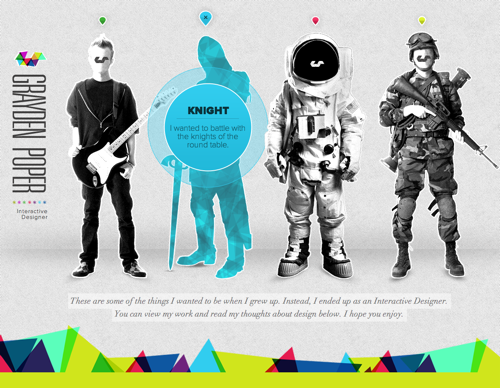 Grayden Poper is an interactive designer with a great sense of whimsy. I came across his site in a list of creative “About” pages and am so glad I did! When you first hit his site, you see some different things Grayden wanted to be when he grew up. Hit the teardrop above each one to reveal his comment about it. The intro is the perfect setup for his work, the bulk of which seem to incorporate lovely textures and rich depth in colors and images like his own personal site does. These concepts for Taylor Guitars and IFYC are just stunning. 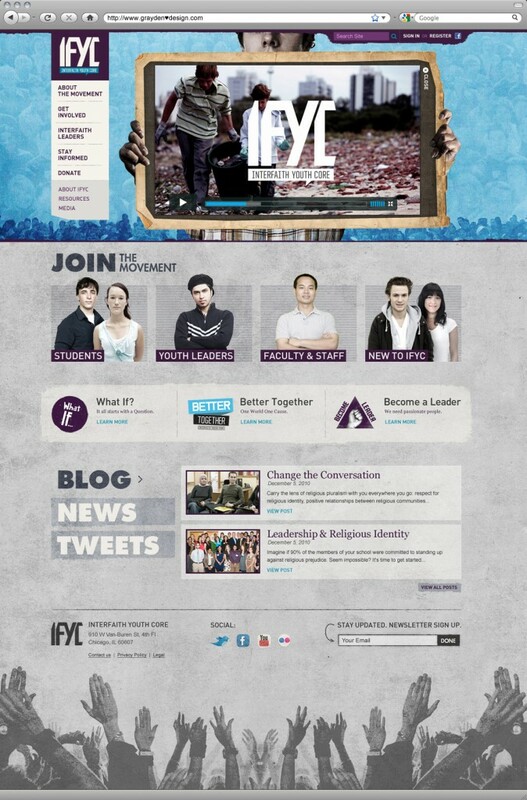 Same exact problem with the existing IFYC site – this concept is so rich (see all three screens at Grayden’s site) that the current layout feels dumbed down. Multiple layers of textures, infused with personality, detail to attention others would overlook, subtle nuances of brilliance, a dose of interactivity to keep things interesting… Grayden Poper is a master of his craft. Visit his site now!